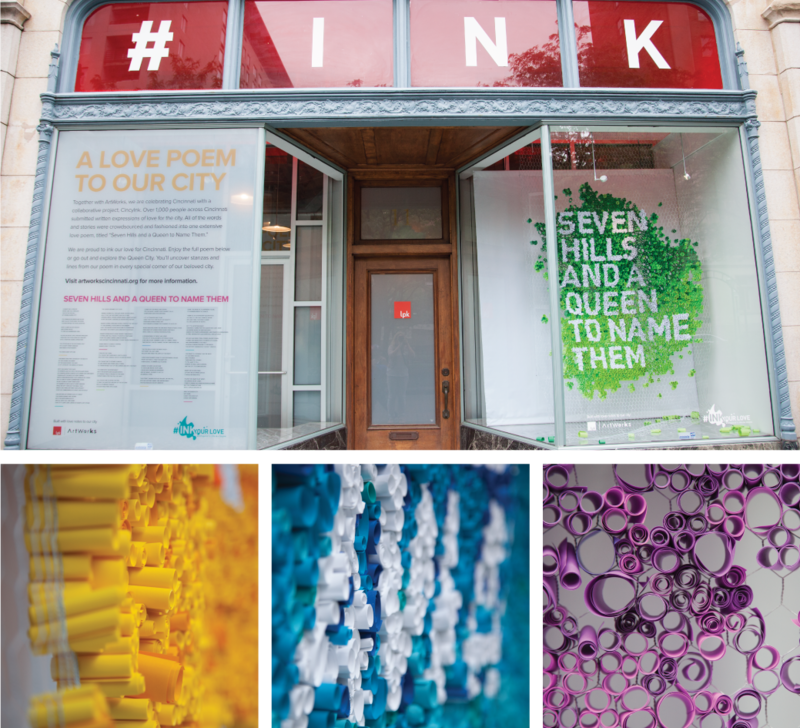 LPK has won a 2015 American Graphic Design Award from Graphic Design USA magazine for its Ink Your Love window displays. The national design competition has honored outstanding work and design excellence for the past five decades. This year’s contest received nearly 10,000 entries and recognized only the top 15 percent with awards. The award-winning design work is a street-side window display at our global headquarters in Cincinnati. 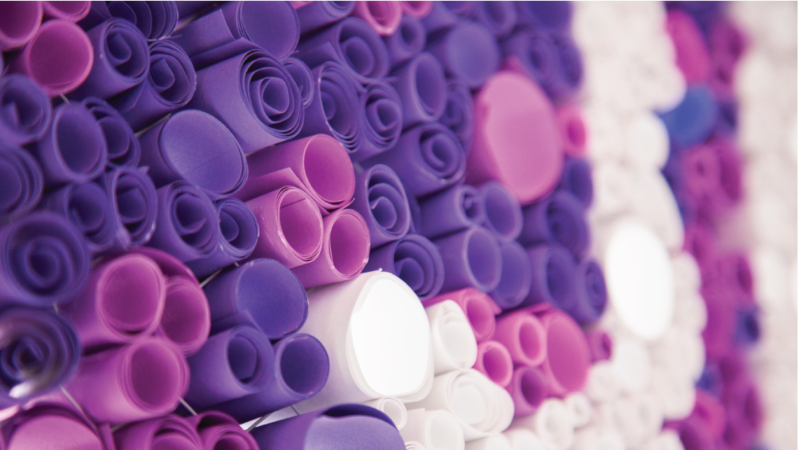 Part of a city-wide collection of urban art installations sponsored by Artworks, the three-dimensional exhibit features five lines of a poem crafted out of thousands of pieces of colorful paper – each representing a love letter to the city. 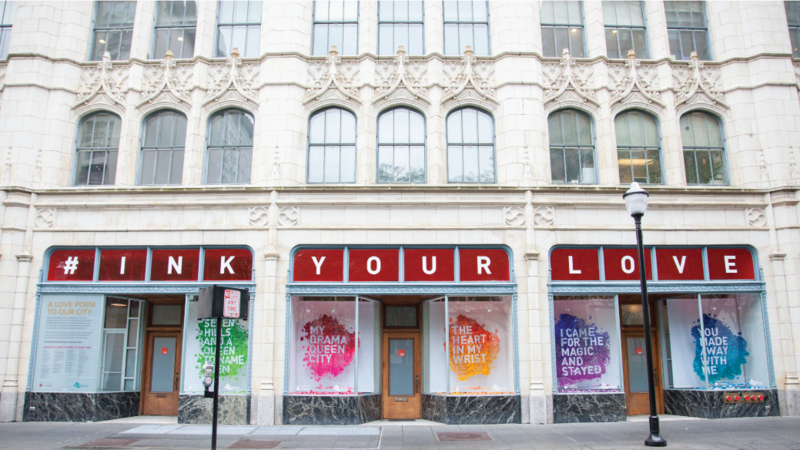 To learn more about the inspiring story behind our award-winning design, check out Creative Director Tommy Sheehan’s post on #inkyourlove window displays.